With so many choices of fertility herbs today, it’s easy to overlook the mighty Tribulus terrestris, Tribulus for short. Tribulus, sometimes called Puncture Vine or Gokshura, has been used extensively in Traditional Chinese Medicine (TCM) and Ayurveda for thousands of years. In the West, we’re learning more and more about Tribulus for fertility and reproductive health. What we’re learning is remarkable. Tribulus, alongside other targeted natural therapies and a Fertility Diet, offers a multitude of fertility advantages for men and women. 1. Revitalizes the reproductive system. Tribulus is a tonic herb, rich in saponins, which encourage healthy hormone levels and normal reproductive function. Saponin-rich herbs like Tribulus have a long history of strengthening the endocrine system and improving fertility in men and women. 2. Promotes a strong libido and healthy sexual performance. While not all of the results are conclusive, research finds Tribulus improves erectile function in men and low libido in women. 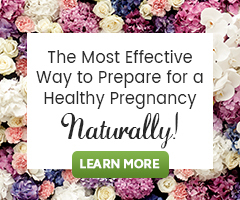 This is a huge benefit for men and women on the fertility journey who are dealing with sexual fatigue or burnout! 3. Can increase sperm count, motility, and health. A 2012 study published in Ayu shows Tribulus may benefit men battling infertility and may boost sperm count in men with Oligozoospermia (low sperm count). Early research reveals Tribulus helps increase luteinizing hormone (LH) and DHEA levels, and encourages normal testosterone production- all factors which influence sperm quality and health. 4. Supports normal ovulation. Evidence finds Tribulus helps promote ovulation for women with irregular or anovulatory cycles (like women with PCOS). Note: While many women use Tribulus all month long for energy and reproductive support, women with irregular ovulation or anovulatory cycles benefit the most when Tribulus is started after menstruation ends (usually day 6) until day 14 (but not after ovulation). 5. May help decrease ovarian cysts in PCOS. Research on rats with PCOS reveals Tribulus extract helps reduce the number of cysts on the ovaries and encourages healthy ovarian function. Alongside natural therapies like DIM and Systemic Enzymes, Tribulus may be useful in a natural program to manage ovarian cysts caused by PCOS. 6. Plays a role in reducing antisperm antibodies. If the male, female or both partners have an excess of antisperm antibodies, it can damage healthy sperm or make it difficult for the sperm to reach or fertilize the egg. Bulgarian research finds couples diagnosed with antisperm antibodies experience a 61% increase in conception after using Tribulus for 6 months! More research is needed, but trying Tribulus is a good option if you’re facing an immune-related infertility issue like antisperm antibodies. 7. Promotes liver health and natural detoxification. By boosting production of the antioxidant glutathione, Tribulus can protect liver function, increase the elimination of toxins, and support normal hormone metabolism, all necessary for not only liver health but overall health including fertility health. Its benefits to liver health are why it is an important herb in the Liver Renew herbal formula. Trying to Conceive with Tribulus? Be Consistent. Be Patient. If you’re interested in trying Tribulus for your fertility, look for formulas using the aerial parts and fruit. Use Tribulus as recommended as part of your program, and do your best to be consistent with it. Herbs like Tribulus take time to nourish and balance your body, but the wait will be well worth it. Bonus: Tonic herbs like Tribulus give you more energy and promote total body health while you work on your fertility. Tribulus is an important herb in our herbal blends, FertiliCare Phase 1 & 2 for women and MH5 for men. Women and Men can both consider FertilicaTM Tribulus capsules (click each hyperlink to learn more).